MOSCOW, the Russian Federation (BulgarianMilitary.com) – Today (5th December), the Russian Defence Ministry reported that the latest Russian-made combat laser systems Peresvet have been put on combat duty with the Russian armed forces on 1st December, learned BulgarianMilitary.com. The newspaper of the Russian Ministry of Defence Krasnaya Zvezda says that Peresvet laser systems, based on new physical principles, have entered testing regime with the Russian Army, and a video on social media has been released that shows the deployment process and combat preparations of the weapons complex. The combat laser systems Peresvet are operated by Russian military personnel, who underwent a special briefing at the Mozhaysky Military Space Academy in the city of St. Petersburg, and now is learning and practicing the timely execution of all the system’s deployment stages and preparations for use. The delivery of the weapons began in 2017 as part of the the state procurement program for military modernization, adds the newspaper. 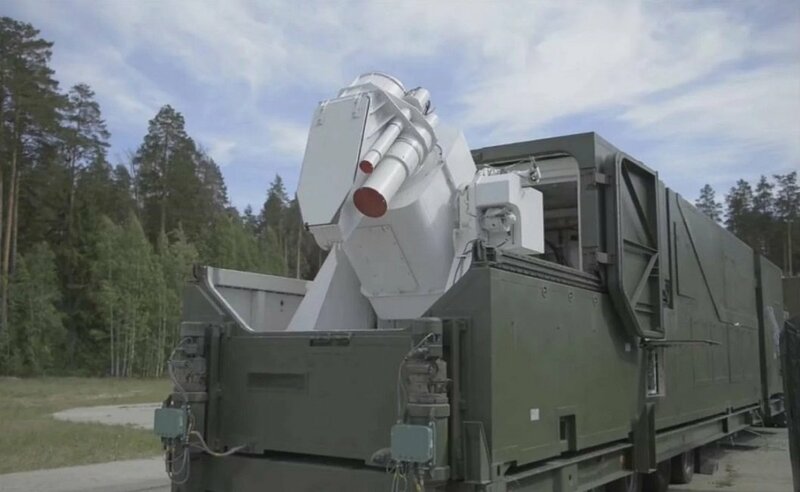 Not much is known about the Russian combat laser system Peresvet, but it is in the list Russia’s six new major offensive weapons systems, which was revealed for first time by Russian President Vladimir Putin in his speech to the federal assembly held on 1st March this year. Today, Krasnaya Zvezda cites Viktor Murakhovsky an expert at Russia’s Military Industrial Commission, who reports that the Peresvet features the capability to conceal the areas of deployment of intercontinental ballistic missiles and will operate in air defence and military defence. The Russian latest air-defence system will track and shoot down hostile aircraft and missiles, and according to some suggestions, it will be tasked with “blinding” sophisticated enemy systems, making them inoperable. The name of the laser weapons system was chosen through online voting by Russian citizens, suggested by Russian President at the same event. It is named after a medieval Russian warrior monk Alexander Peresvet.